I remember wondering at first what luxury beauty products were the worthiest to buy, and came to mind foundation, lipstick and possibly mascara. 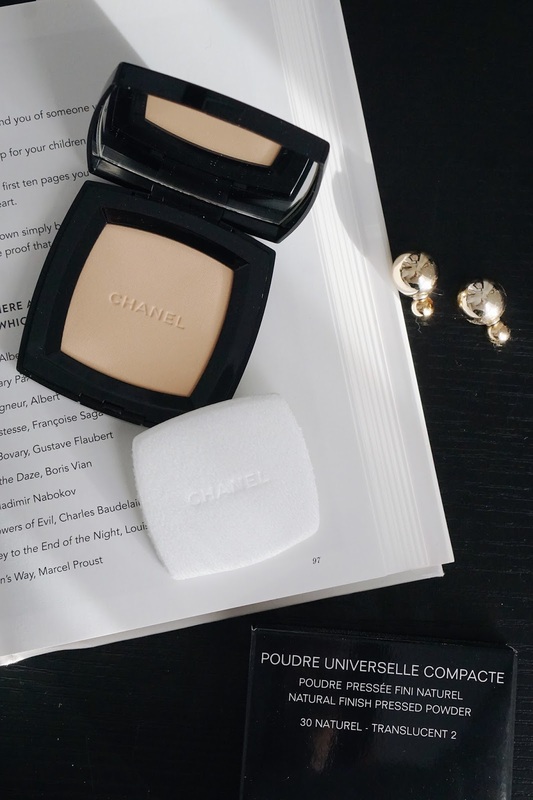 So when I splurged on CHANEL's Poudre Universelle Compacte I wasn't entirely sure of the difference using this one would make compared to my former Rimmel's Stay Matte compact powder. It took me a bit of time to start using it as I generally don't apply a lot on my face, but when I started living in Rome in summer and needed to stave off the shine, I quickly realised how high-quality this product was and it all became clear that I could never live without it again. 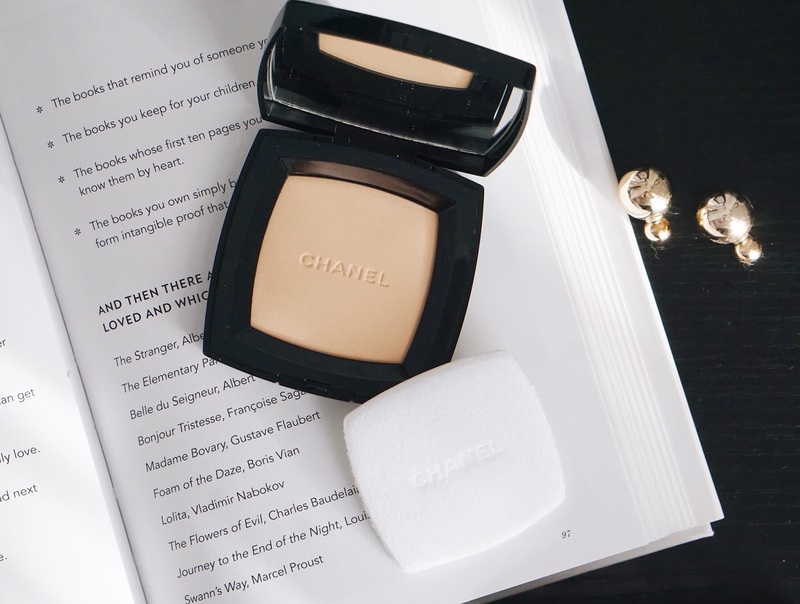 This CHANEL powder is definitely worth having its own spotlight on the blog! Until this one was released I was more keen on using loose powders as I didn't wish to add any more colour to my foundation, but during summer days I tend to swap my foundation for a light touch of concealer (as applying foundation when there's 35 degrees outside is rarely a good idea, except of course if you enjoy feeling like you're melting faster than the gelato you're holding), so the extra pigments in the Poudre Universelle Compacte are more than welcome. Actually, the powder reflects the light so well that you can barely see it if you manage to find the shade which suits your skin tone perfectly - for me 30 Naturel. I find it creates a very nice blurry, flattering look. In terms of texture it is incredibly soft on the skin, as well as being ultra-fine and lightweight. The finish is perfectly matte, although it magically retains the glow if you're fond of glowy makeup looks. I apply it over my forehead, nose and chin after my concealer in the morning with my powder brush or during the day as an time touch-up with the included puff. I particularly enjoy the fact that it is very sheer and that it usually lasts all day, and is much better at keeping my makeup in place than other powders on the market which don't get past a 3-hour wear time with me. The good news being that I'll probably need to wear it for months and months before it clears out, even if I wear it on a daily basis. When this time comes, I'll be the first in line at Sephora to shop it again! CHANEL never fails to surprise and amaze me when it comes to the quality of their makeup range. 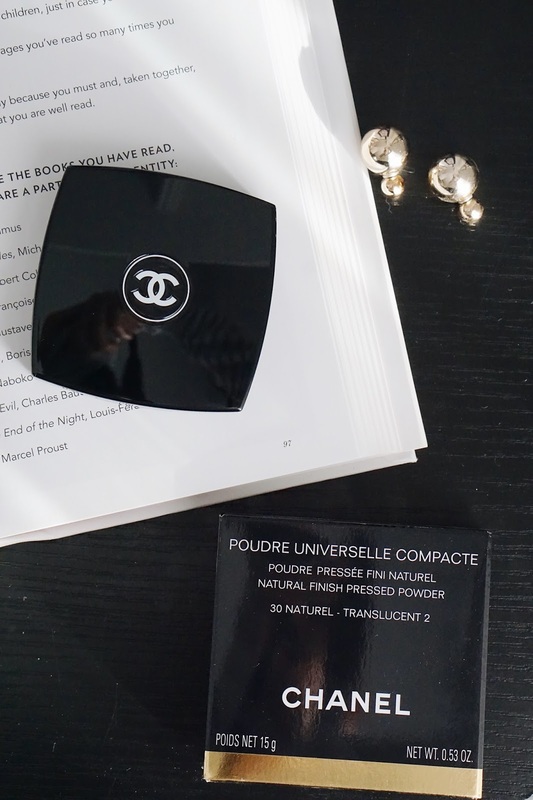 I have never purchased a product that has disappointed me; among others, its Poudre Universelle Compacte is an item I have happily added to my timeless makeup collection, you know, those which you know you can use all year round without fail. It has proved once more that to my eyes, CHANEL remains the best luxurious brand on the market. Can't wait to talk about the Perfection Lumière foundation on the blog, so keep your eyes peeled! Do you have a CHANEL favourite in your makeup stash?